Lisette & Nick are Fun In the Sun Weddings’ newest Newlyweds! 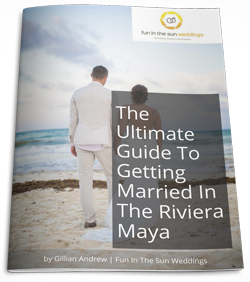 A destination wedding in Riviera Maya was an easy choice for this bride and groom and completely exceeded their expectations. Our newlyweds have their friends’ milestones to thank for their introduction. After briefly meeting at the friends’ wedding, Lisette and Nick later had their first proper conversation at the friends’ child’s baptism. When the time was right to put a ring on it, Nick decided that Cabo San Lucas was the perfect place for a proposal. He proposed in front of a beautiful chapel, with a surprise engagement photo shoot, and then they celebrated with a private dinner. 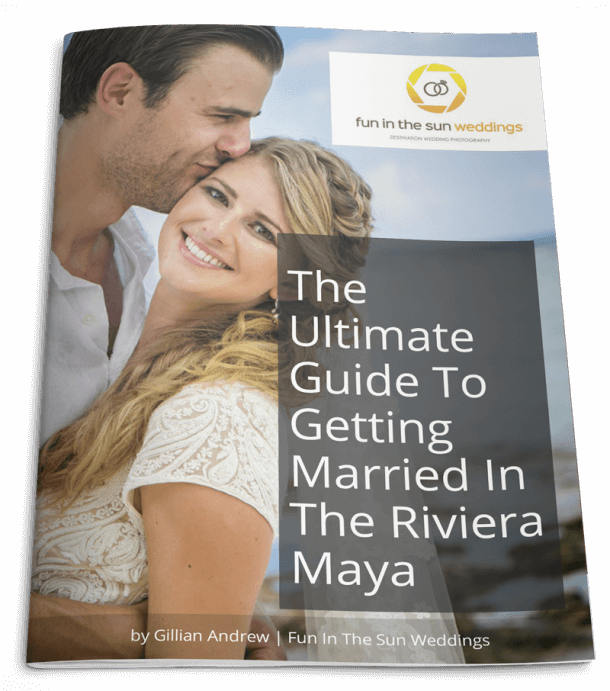 Since the Riviera Maya is their favorite vacation spot, it naturally seemed the best place for a destination wedding too. Lisette and Nick’s vision was to marry in a small private chapel and then have a beachfront wedding reception. With help from Wedding Planner Pro, Natalia at Weddings On The Beach, they settled on a wedding ceremony at the charming chapel in El Pueblito Mayakoba, followed by dinner and dancing at the fabulous Villa La Joya. Lisette was a stone-cold stunner, thanks in part to the glam squad at Beso Brides. And when the beautiful bride came down the aisle and locked eyes with her groom, she says she was flooded with joy and emotion. That was her favorite moment from the whole day. The bride and groom went shopping on Playa del Carmen’s fifth avenue for their authentic Mexican wedding favors. They purchased Talavera bowls, each one similar but unique as a show of their appreciation to their guests. So what advice does Lisette have for the bride-to-be planning a destination wedding? It’s true what they say – things will go wrong. Don’t stress about them. Move on and enjoy your day. Lisette and Nick, it has been such a pleasure capturing this special moment in your lives. We wish you every happiness in your marriage and hope you will be back to see us again soon. Congratulations! Are you planning a Riviera Maya wedding and want the best Playa del Carmen wedding photographer there to capture all the magic? Then contact us now! We are Fun In The Sun Weddings, for the best Riviera Maya wedding photography. Want to know more about Villa La Joya weddings? Read unbiased reviews on Wedding Wire here. 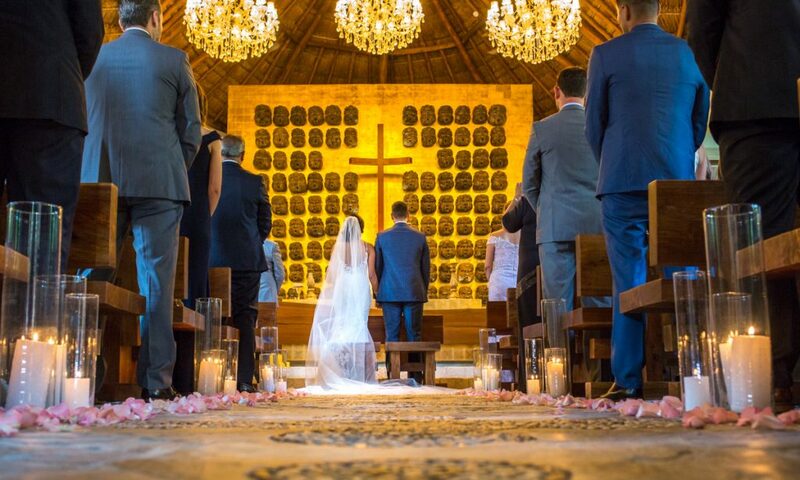 Are you thinking a Catholic ceremony at Pueblito Mayakoba might be a good fit? Read more about the venue here. Love love love the pics! You guys are amazing!